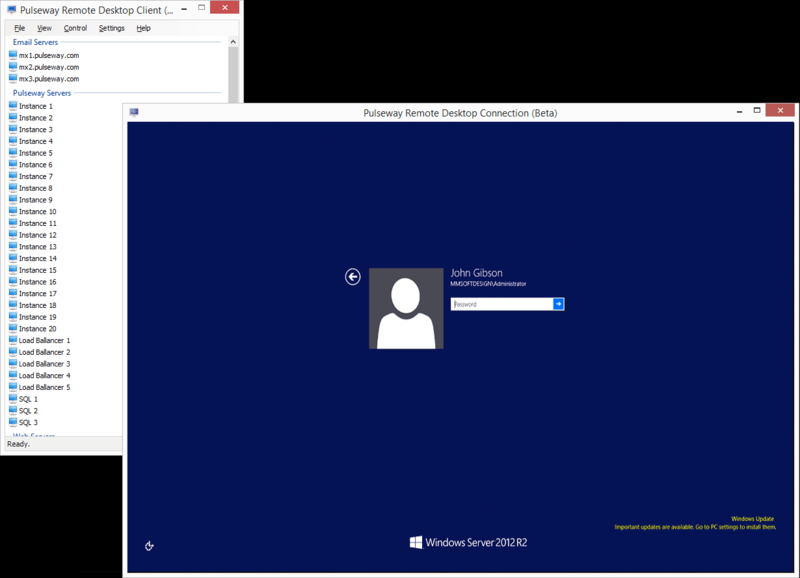 Remote Desktop enables you to connect to all monitored computers and control any remote or console session. Use Pulseway Remote Desktop Client or Pulseway Dashboard to connect to any active remote desktop sessions or to the console session on the remote computer. Right click a system and select "Start Remote Desktop Session" to get started. Connecting to the console session will allow you to take control of the computer as if you were sitting in front of it. On the other hand, if you connect to a Remote Desktop session you can assist users that are making use of the server resources through Remote Desktop (formerly known as Terminal Services). See remote screen, send key strokes and control mouse inputs as if you were using your own computer. The connection is encrypted and does not require you to open any ports or create any firewall rules. Choose the monitor that you want to view and switch between the available monitors whenever you want, during the session. 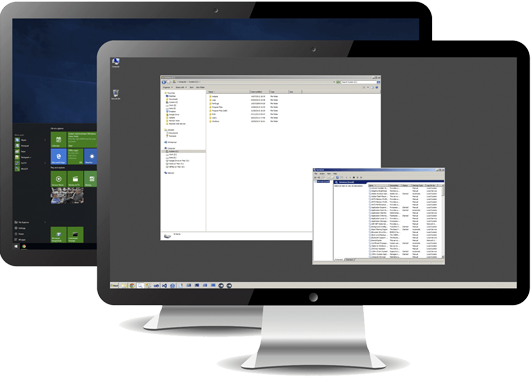 Pulseway delivers a top class Remote Desktop solution that lets us connect to any monitored computer without any configuration, whatsoever. From a security perspective, this is a great way for us to extend support to our consultants and partners when remote access is required. The introduction of Remote Desktop has made Pulseway the complete package as far as monitoring and management solutions go. Country Select Country --------------------------- United States United Kingdom Australia Canada Netherlands Germany Ireland Sweden South Africa Brazil --------------------------- Argentina Austria Belgium Bulgaria Chile China Costa Rica Croatia Czech Republic Denmark Estonia Faroe Islands Finland France Georgia Greece Greenland Haiti Hong Kong Hungary Iceland India Indonesia Israel Italy Ivory Coast Japan Korea Kuwait Latvia Liechtenstein Lithuania Luxembourg Malaysia Mali Malta Martinique Mexico Moldova Myanmar New Zealand Norway Peru Philippines Poland Portugal Principality of Monaco Puerto Rico Qatar Réunion Romania Russia Saudi Arabia Serbia Singapore Slovakia Slovenia Spain Sri Lanka Switzerland Taiwan Thailand Turkey U.A.E.